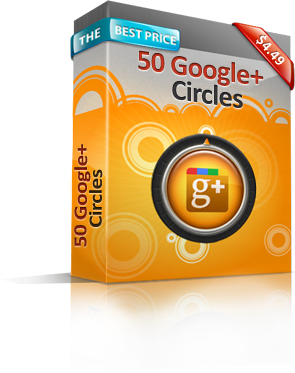 Instead of everyone following you on one list, Google+ uses circles. This is why it is so important to buy Circles. No one wants to be in an unpopular group (circle). So, the more people you have in each of your circles, the more others will want to see what’s going on and naturally join your circles. This same principal applies to YouTube videos, first page Google rankings and articles with high read counts. With so much of our lives taken up with the bombardment of information we look for quick ways to determine what is worth our time and what isn’t. When we see a large amount of people paying attention to something, we assume it is also worth out time.